The School Admissions Portal is now available. We sincerely apologise for the inconvenience this has caused to all parents trying to access their school offers. All applications for school places can be viewed in the Family Portal application system using the link below. Your school offer will appear in the Portal on 1 March for secondary places and 16 April for nursery and reception places. You can continue to use the below link to apply for a move of school during the school year at any time. Please ensure you have read the relevant admission policy and the choosing a school booklet to ensure you meet the criteria for the schools you have chosen. Before you make your application, if you have not registered previously, you will need to register using a valid, working email address and choose a password. You may have used the Family Portal previously to apply for a school place or for two-year old funding. If so, you should use the same login details. If you can not remember your login details please follow the links provided in the Family Portal and these will be sent to you. If you are applying for more than one child you will need to fill in a separate application for each child. If you change your mind after submitting your application you can login to the Family Portal and change your choices at any point up until the closing date for the relevant year group. You must remember to resubmit your application. If any additional information is required in support of your application, eg medical form, then it is your responsibility to ensure it reaches us by the deadline date using the 'Contact us online' form below. If you are having difficulties using the online application service, the answers to the following questions may be helpful. You need access to a computer and an email account. The council offers free computer access at libraries. If you do not have an email address local library staff may be able to help you set up a free account. You can now use the online application form on mobile phones or tablets. Will my online application be secure? Yes, there is a series of security features which will prevent anyone from seeing information they are not entitled to see. Copy the address into your browser to complete the registration process. Why can't I find the school I am looking for? Check whether your postcode is still showing in the left hand box and that you have selected schools in the correct local authority area. You should remove the postcode and just search within the local authority area. If you are still having problems, try entering just part of the school name. For example, if you can’t find ‘St George’s CE Primary School’, try entering just ‘George’ and the search facility will be more likely to find the school you are looking for. If I can't finish the application in one go, can I save it and go back later? Yes, up to the closing date for applications. Having submitted an online application, will I be able to change my preferences? As with a paper application you can change your preferences right up to the closing date. You just need to log back into your application in the Family Portal using the email address and password that you used when you registered. You must remember to resubmit your application once you have completed your changes. How will I know that changes have been saved? Every time you resubmit your online application you will receive an email confirming the status of your application. I am concerned that technology sometimes fails, should I send a paper copy as well? If you apply online you do not need to submit a paper application. The system notifies you of the status of your application by email. If you do not receive an email confirming your application is submitted please contact the local authority using the ‘Contact us online’ form above. What should I do if I have not received an email confirming that I have submitted my application? When your application has been submitted you should receive a confirmation email. If one does not arrive in your inbox please check your 'trash' or 'junk' mail. Please note some free accounts (eg, Gmail, outlook.com) become inactive if you do not sign in for a period of time. After an account becomes inactive incoming messages will be sent back to the sender as undeliverable. If you still do not appear to have received an acknowledgement email you may have entered your email address incorrectly. Please contact the school admissions team using our online form. If you forget your password and wish to view or change your online application click on the 'forgotten password' link on the homepage. You will receive an email and you will need to follow the instructions within the email to reset your password. When will I get the result of my application? If you applied online you will be able to review the result through the Family Portal. This is 1 March 2019 for secondary applications and 16 April 2019 for nursery and reception applications. You will be able to log in to the service on offer day to view your results and respond to the school offer made to your child. Where can you find out more information on the application process? The school admissions booklet contains information on the application process. We aim to help parents get their child a place in the school of their choice. However, as many schools receive more applications than they have places, we need a process to decide which children get a place and which have to go to other schools. As a result we ask for you to choose a number of schools and put them in order of your choice. If you’re applying for a school place using a paper form you can submit your application and any supporting documents by visiting one of our Scan Zones. 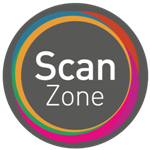 Scan Zones are located in all the Gateways and Broughton Hub, they are touch screen, tablet devices that allow customers to self-scan documents.